Showing results for tags 'master'. Is it possible to use FX3U-485ADP-MB as a serial port to send and receive user defined string/data to and from a computer? I have a FX3U-32M PLC and two FX3U-485ADP-MB adapters. I have been using PLC with one adapter as Modbus Master. Now i want to use both adapters, where one will be Modbus Master as usual and the other I want to use to send and receive data to and from computer terminal (Example - Realterm). I have a third party 232/485 converter which works really well. Lets me just describe my requirement straight forward. 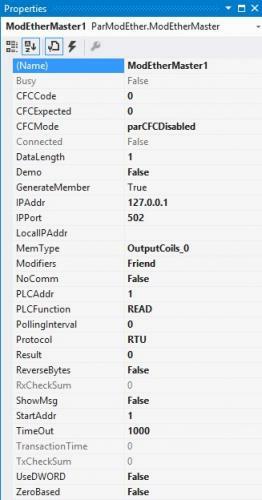 I want to display process parameters on a windows computer based user interface (UI) and also set some variables in PLC from the same UI. The UI has access to serial ports of computer. Hello I have a scenario that's been bugging me for some time now. The scenario consists of a Micrologix 1400 that I need to control it's output from modbus/tcp. In detail what I really need is to be able to manipulate the O0:0 through modbus/tcp. The PLC would be the master and I would be the slave that triggers the connection to the master. I'm using a Modbus-Client on my PC and that should be the slave. Any idea as to how I can manage that? Currently I can send data to the master but everything is "stored" on B10 and I have no idea how I could write directly on O0. Thanks a bunch guys. PS: I'm borderline noob. I have a customer that has a LS Master K PLC, and he needs me to make some changes to the program. I am not the original program writer so I do not have the original program nor the password. And the company that originally made this program does not exist anymore. Does anyone have any suggestions on a software or a device that can help me either find the password or just bypass it. I need help ASAP Please!!!!! I saw there is a password breaker while i was googling, but the software cost $50, and it looked a little sketchy so I am kind of hesitant to trust 1 purchasing the software and 2 downloading it only my work laptop. Please help!! Hi, I’m trying to control 10 Safety switchgear using AS interface, and since I’m using Beckhoff as a PLC I want to use "KL6211 | AS-Interface master terminal" as a Gateway but since this is the first time I’m using Beckhoff I’m a bit lost, So my questions are: - Is it a good idea to use a Beckhoff ASI terminal? - How to configure it? - Is there a possibility to configure it using embedded PC ( I’m using CX2030)? Excuse my English. Hello guys, I am using Fatek PLC's to communicate with each other as a Master & Slave through zigbee which is connected through RS485. And I succeed. But the issue is that I have to communicate each other at a distance of about 2km where zigbee out of range to each other. I am bit confused here; 1) whether I use RF booster? Does it work? 2) Should I introduce extra PLC as a repeater between master slave? But this(extra added) PLC repeater also become as a master(Master Repeater).or any idea? Most important I can using Fatek Protocol or Modbus RTU or Modbus ASCII prootcol. Hello. I have a question regarding NB series display. The comunication is made through RS232 / RS485 comunication. I would like to use NB display as MODBUS MASTER and SLAVE aplication. - Display would work as MADBUS-MOSTER to talk to plc controllers. (Working through COM2 - RS485) - Secondly, Display would work as MODBUS-SLAVE to talk with (SCADA). (Working – Registers LW, LB)) What I have trouble with, is: - I would like to change variable in the PLC - for example : Regime_PUMP (address: 0x0001). - Regime_PUMP variable should be settable from all three devices PLC <-> DISPLAY <-> SCADA So: - If I change Regime_PUMP through PLC it should refresh also on DISPLAY and SCADA. - If I change Regime_PUMP through DISPLAY it should refresh also on PLC and SCADA. - If I change Regime_PUMP through SCADA it should refresh also on DISPLAY and PLC. Does anybody have an example for NB series of display to do this? Best regards. Hello Experts, Good day to you all. I just can’t figure how I will integrate five S7-300 PLC. CPU 315-2dp. (1.Blow moulding-> 2. filler-> 3. labeller-> 4. packer-> 5. Palletizer) I just want to get the speed of its machine, the output rate and the alarm, this is purely monitoring, archiving, no need to control anything here. I planning about SCADA system. I’m thinking if I could do the same way in my previous project, which I’ve done in profibus master/slave for two s7-300. But this time the five PLC’s already set the profibus as master to the danfoss drive, sew drives, ET200s and many more profibus slave. I plan to buy 1 PLC as master and I will set all as slave, but how since all the five existing PLC, its profibus already configured as master. Thank you very much. All your inputs is really appreciated. 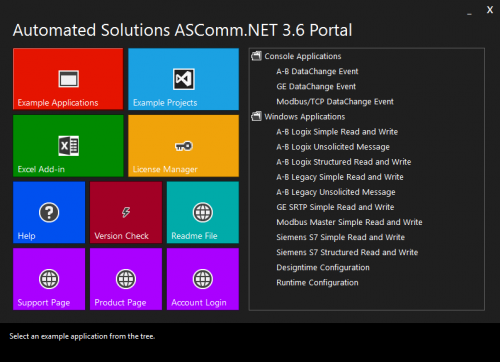 Hi All, We have a free Modbus Master Utility that you can use to test communcation to your Modbus Slave modules and PLC. Please let us know your feedback. http://www.icpdas-usa.com/documents/modbus/modbus_master_tool.zip If we can help with any future projects, with remote IO, controllers or communicaiton, please feel free to contact us.